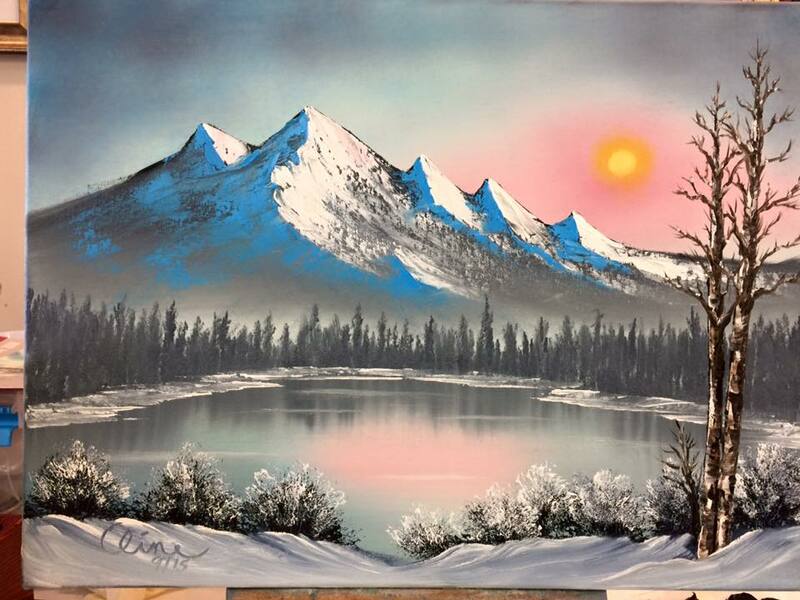 Mickey Cline began Happy Little Paintings in the fall of 2015 to offer oil painting classes using the Bob Ross Wet-on-Wet Technique® in the East Tennessee area. 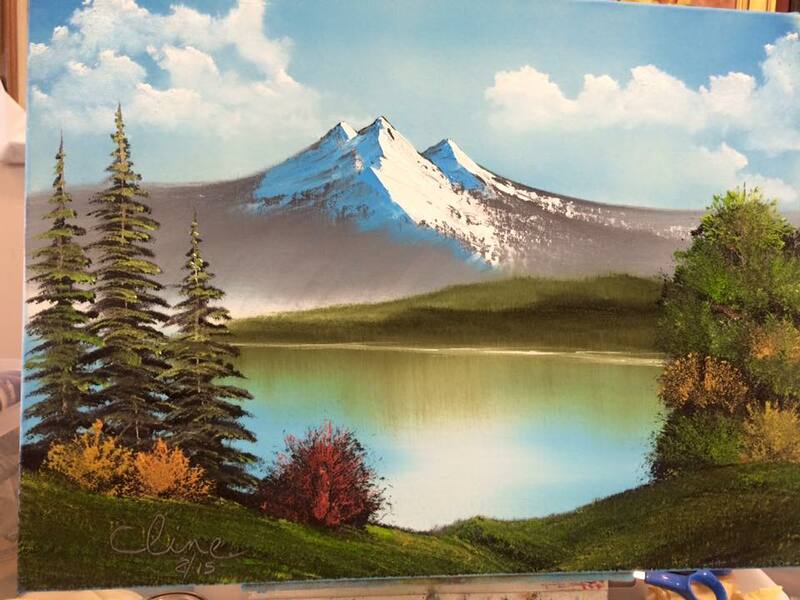 She is certified by Bob Ross Inc. in landscapes, seascapes, florals and wildlife. She is also a Wilson Bickford Trained Teacher as well as a MazArtAssociated Painting Partner. The goal of Happy Little Paintings is to share with people ages 13 and older that anyone can learn to paint in a relaxing and fun environment, even if you have no artistic experience! She will demonstrate each step and help you when needed. 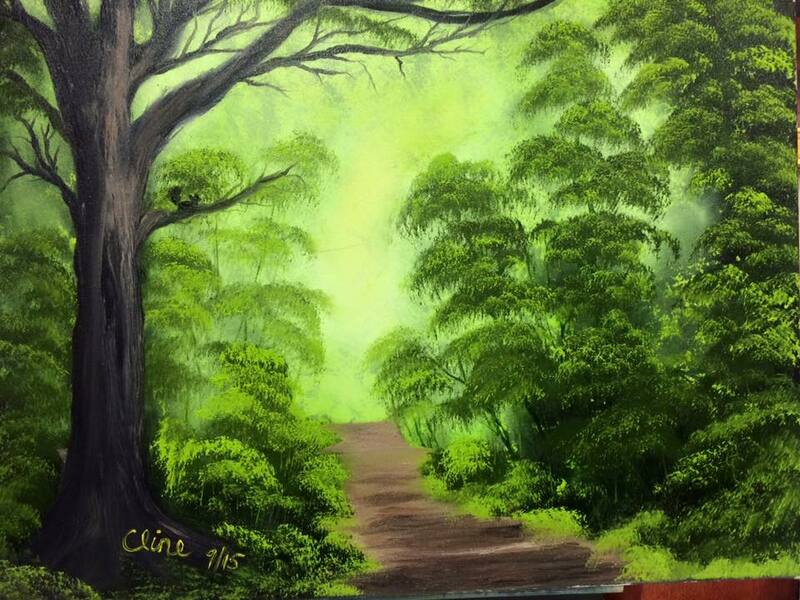 Classes are $45 (unless specified otherwise) and include use of all supplies needed to create an amazing painting. With mobile classes that can be held at craft stores, churches, schools, or even homes, anyone can learn how to paint using this method. As classes are scheduled they will be posted on this site. For a list of classes, click here. 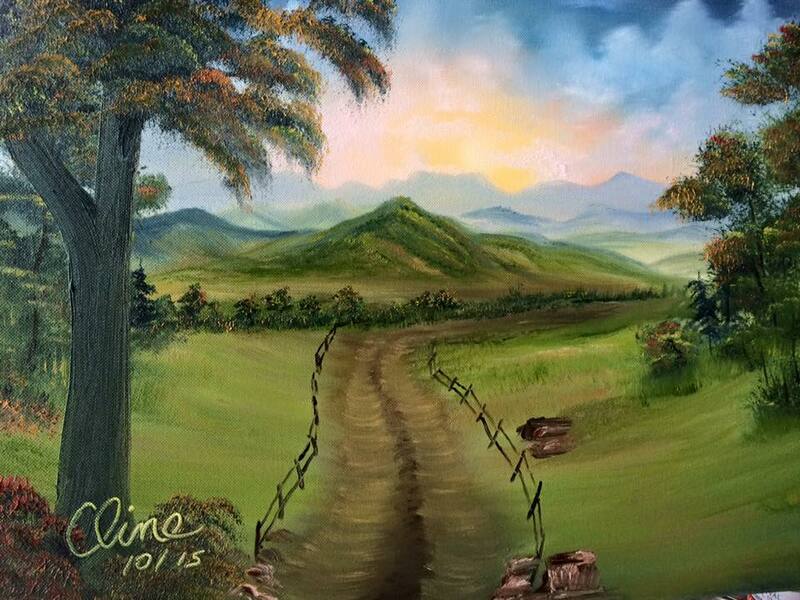 My painting career began when I walked in the Hobby Lobby store in Hixson, TN one October day in 2004. There, right in the lobby, was a beautiful oil painting with a sign underneath advertising painting classes. I took one of the registration cards home with me. On a whim, I called the number on the card and was advised that the class was full. I requested my name be put on the waiting list, and I just thought that was the end of that. The instructor called me and said there had been a cancellation and asked if I was still interested. Of course I was! So I was off to my very first painting class. I was late to class and had to sit in the back. I had never touched a paint brush before and was terrified. But my instructor was patient with me and the other “newbies” , and by the end of class we were all amazed at our results. I kept this painting a secret until I gave it to my husband for Christmas. He couldn’t believe I painted it. 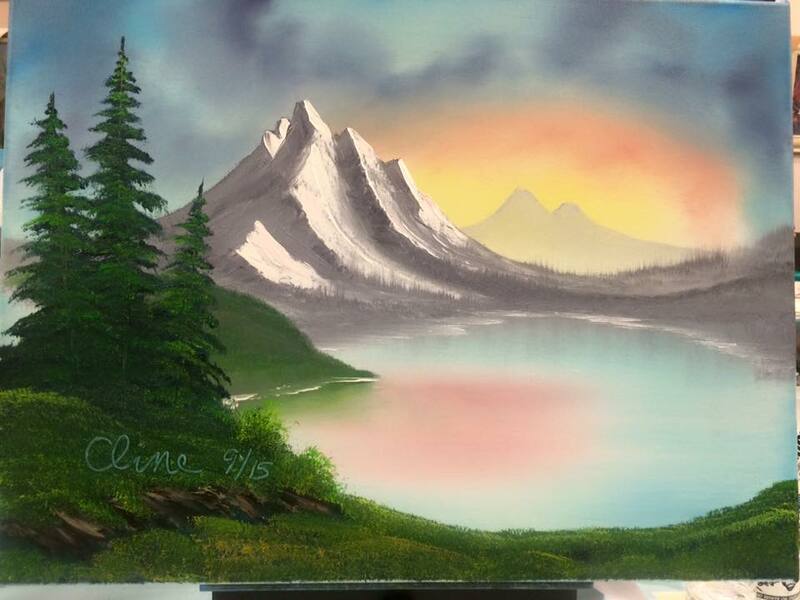 My son gave me a Bob Ross Master Kit, and I started painting at home. I took classes from that same instructor over a period of 11 years. She encouraged me to study for my certification to teach, and I finally did. I earned my certification on September 18, 2015. Needless to say, I did improve over the years, and am still eagerly learning new techniques. It is such a joy to show others that they, too, can create beautiful paintings. Since then I have learned from other fabulous instructors such as Wilson Bickford and Marion Dutton.